Enpuku-ji is a Rinzai Zen practice centre located in a lively, ethnic neighbourhood of Montreal. The centre provides a daily schedule of Zen practice in the style and spirit of the teaching of Kyōzan Jōshū Sasaki, Roshi. The resident monk and abbess is Zengetsu Myōkyō. In addition to the regular zazen schedule, the Zen Centre offers one-day retreats, five-day sesshins, Buddha ceremonies and personal ceremonies such as weddings and memorials. Myōkyō began her training with Jōshu Roshi in 1980 and moved to Mt. Baldy in 1985. She was ordained as a Zen monk in 1986 at Mt. Baldy Zen Center, and practiced at Mt. Baldy and Rinzai-ji Zen Centers in California and Bodhi Manda and Albuquerque Zen Centers in New Mexico before returning to Canada in 1995. 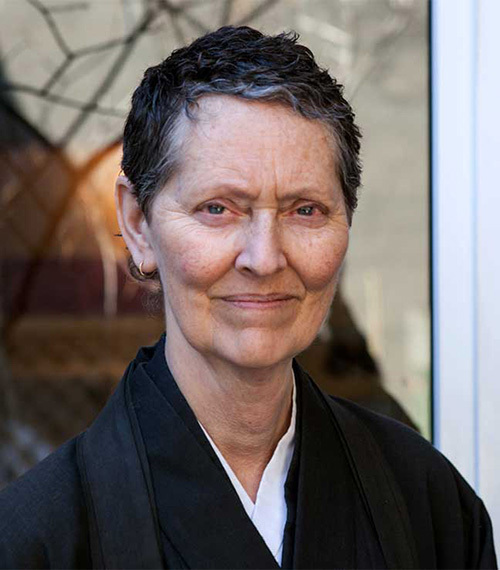 She was ordained as a Zen Osho (Priest) in 1999, receiving the religious name Zengetsu, and continued to study with Jōshū Roshi until his death in July, 2014. In Montreal, Myōkyō is involved with the larger Buddhist community, and in interreligious dialogue, and serves as an Associate Buddhist Chaplain at Concordia University and at McGill University. Centre Zen de la Main was founded in 1995 by Myōkyō, with the help of generous donors. In 2009, its name was changed to Enpuku-ji with the move to its new location at 4620 Saint-Dominique Street. Enpuku-ji is the temple name which was given to Myōkyō by her teacher. The meaning of the kanji for Enpuku-ji is Temple of Full Prosperity. Enpuku-ji is an affiliate centre of Rinzai-ji in Los Angeles, the motherhouse of a network of centres which are committed to practicing Rinzai Zen as was taught by Kyōzan Jōshū Sasaki, Roshi. It has grown in its first two decades to the point of being able to provide a strong and consistent practice environment for members, newcomers, lay monks and practice residents. On Friday evenings and Saturday mornings, a dharma talk is offered during the third zazen period. 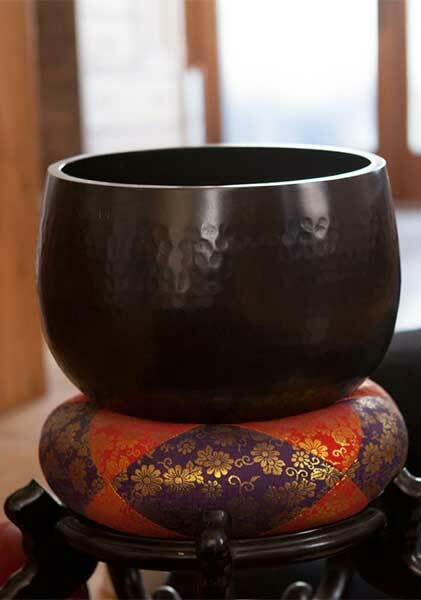 Zazenkai (one-day silent retreats) are held monthly on a Sunday, from 9:00 AM to 5:00 PM. The schedule includes sutra chanting, formal meal, nitten soji, dharma talk, meeting with Myōkyō, and zazen. Participants are expected to be familiar with the practice etiquette. Part-time participation is possible, although preference is given to those attending full-time. are asked to attend a newcomer's session. Those interested in formal Zen practice are asked to attend an instruction session in order to join the regular zazen schedule. The instruction session is held on the second Saturday of each month, except for December and July, in both English and French, from 11:30am to 1:00pm. The session outlines the form and etiquette of practice, as well as a brief history of the Centre and Jōshū Roshi. The main entrance for Enpuku-ji is in the garden. Follow the path to the left of the parking area and go through the gate to the deck doors with the Enpuku-ji logo. > We will have our customary New Year's Eve zazen and toast to 2016 on Thursday, December 31, 9:30pm to midnight. > Enpuku-ji will be closed from Monday, December 21 through Sunday, December 27. From Monday, the 28th through Thursday morning, the 31st, the regular schedule will prevail. Enpuku-ji will also be closed Friday, January 01 through Sunday, January 03. The weekend of November 07/08, Gento, Myokyo's brother monk from Los Angeles, came to Montreal and worked with the Enpuku-ji sangha for two events. 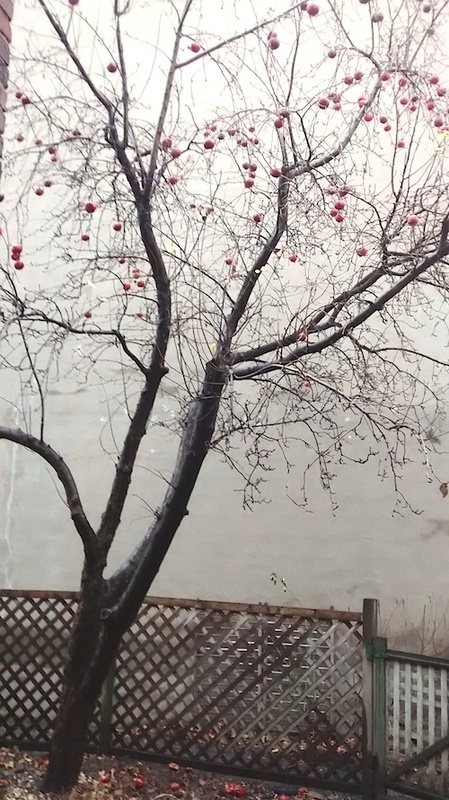 The fall sangha meeting, at Enpuku-ji on the Saturday from 11:30am to 1pm, accompanied by our apple tree offerings, fashioned into apple crisp, was attended by friends, supporters and practitioners, past and present, of the Zen Centre. The meeting took the form of a Listening Circle or Council practice. Participants were asked to speak from the heart, spontaneously, without advance preparation or response to what others have said. The amazing aspects of a Listening Circle are that there is no cross-talk during the practice and also that one is asked to listen completely from the heart. Gento had two guiding questions for the Listening Circle participants. Gento led a writing workshop for twelve people on the Sunday at Enpuku-ji, in the warmth of the zendo. The writing workshop was for those of us who are not writers but who have a meditation practice, and was appreciated by the attendees - a few tears and some laughter as we all read our work. This event was the first in the Enpuku-ji Literary Series, an out-cropping of the Montreal Zen Poetry Festivals, held in 2007, 2009 and 2011. As many of you know, Myokyo has been slowly transitioning to Enpuku-ji from her residence in the former Zen Centre house, together with Kyozan. A lot of changes and re-arranging of the Enpuku-ji upstairs have kept Myokyo and Robert, regular volunteer, very busy over the last few weeks. A fundraising effort for a vacuum cleaner, with special animal hair attachments, commenced in early November and quickly, with two major donations and many smaller ones, reached close to the total cost. If you would like to contribute a small amount, we have about forty dollars to go. 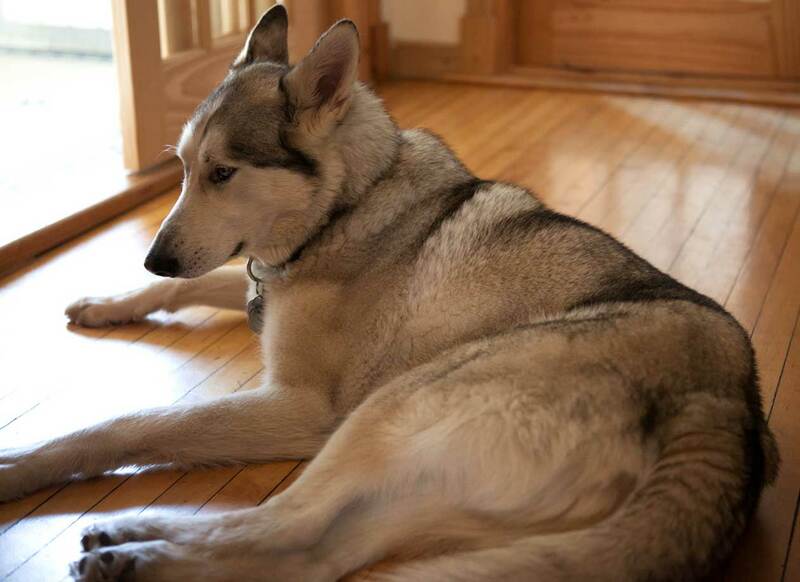 Everyone coming for practice has been very patient in the last three weeks with Kyozan, who has been "joining" the zendo... Rest assured that some training is happening but moves, Myokyo now realizes, are very stressful for dogs, so there will be some more adjustment time for Kyozan. Enpuku-ji will open its doors on Sunday, January 17, from 2 to 4pm for people to come and enjoy a bowl of hot soup and/or to take a quart of soup home for dinner. A recipe book, Soup for Syria, filled with fabulous recipes from over 80 acclaimed chefs and beautiful photographs of Syrian people, has been produced by Barbara Abdeni Massaad, who volunteers in a soup kitchen in Syria. Proceeds from the sale of this cookbook will be donated to the UN Refugee Agency UNHCR to provide urgently needed food relief for Syrian refugees. Soup events are being encouraged to raise awareness of the Syrian people's dilemma. We would like to ask for volunteers to help with shopping, to prepare three soups from the book at Enpuku-ji, and to set up/clean up for the event. $4 of each $7 bowl of soup/$8 of each $14 quart (if you bring your own jar) will go to UNHCR. On Monday, December 21, at 6:15am, some of us will leave from Enpuku-ji for a silent walk up to and around the mountain in honour of Winter Solstice, technically happening at 11:49pm. Please, if you would like to join us, bring a thermos of a warm beverage and some snacks. Jan and Myokyo have done a much earlier Summer Solstice walk several times but this will be the first for Winter Solstice. Let Myokyo know if you are interested in coming. 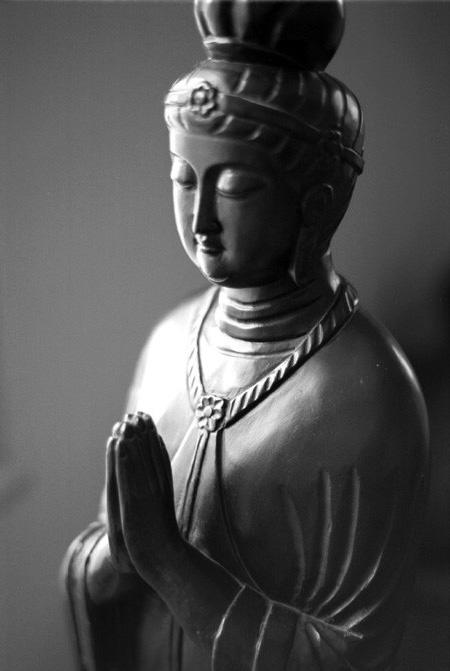 The Zen Centre continues to keep its doors open and a full zazen schedule in place because of your monthly contributions. Please do make that donation, after your first month of practice at Enpuku-ji, through the CanadaHelps link on the website (check that your credit card expiry date is up-to-date) or by leaving a cheque or cash in your envelope at the Zen Centre. Much appreciation to those who have contributed to the Zen Centre this year with regular interior/exterior help along with a multitude of other gifts and contributions, including the casserole from our wish list, generously donated by Eshin of Zen Centre of Vancouver, Myokyo's fellow osho; regular bouquets for the Zen Centre and four fabulous underground-river-sculpted garden rocks from Jean-Pierre; tv screen from Sean; dvd player from Robert; cherry olive buses from Seiun; moving help from Sara and George, regular garden/walkway maintenance by Mike; and volunteer help from Robert, George and Philip with cleaning and Lufa Farm pickups. Seiun, as always, has contributed very generously with zendo coverage and assistance with newcomer instruction, not to forget the several trips to the Jasmin garden centre for supplies. A huge amount of appreciation for the almost twenty-one years of inhabiting 30, Vallieres, the old Zen Centre, goes to Jikan Leonard Cohen, Myokyo's fellow practitioner and close friend of her teacher until his death in 2014. 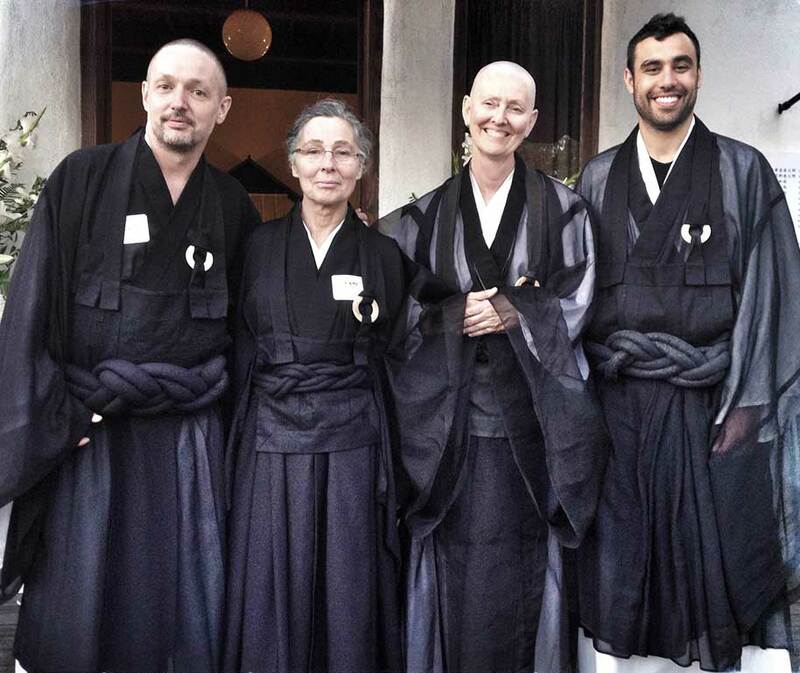 Seiun Thomas Henderson has been an integral part of Enpuku-ji in the last few years, assisting Myōkyō with all of the programs/events that the Zen Centre offers. Seiun is currently the Director General of Giant Steps, a school for students on the autism spectrum, in Montreal. Ekyō Diane Poissant, retired administrator and educator, lives in Kingston, Ontario, and established a zendo, Ryokusui-an, in her home in 2013. Ekyō offers a regular schedule of zazen, day retreats and	some Buddha ceremonies. Jion Ned Shepard, DJ, producer, and remixer, was a regular practitioner at Enpuku-ji for ten years before recently moving to Los Angeles, CA. 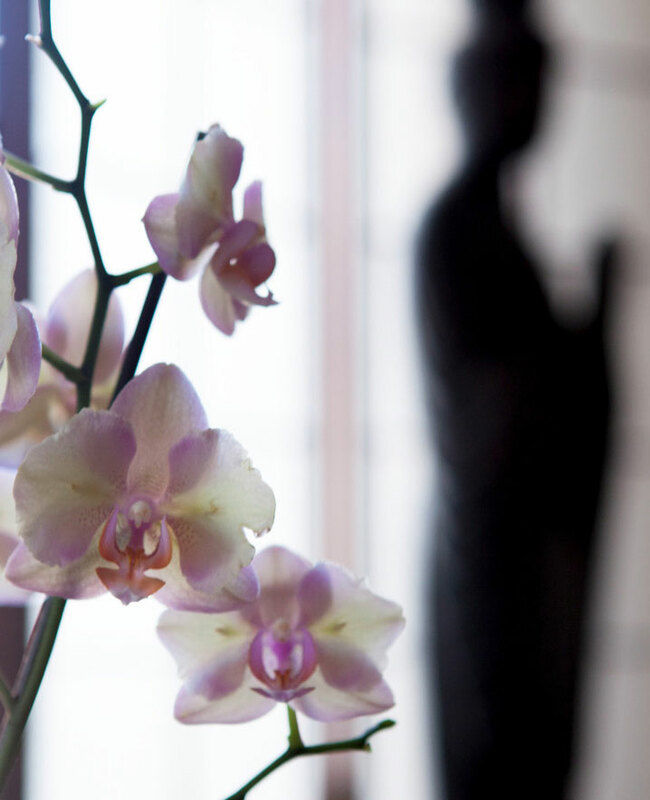 He has created a beautiful zendo, Kattō-an, in his Beverley Hills home. The tokudo-shiki (ordination) ceremony for Seiun and Jion was held at Enpuku-ji in January, 2011 and that for Ekyō at Ryokusui-an in October, 2013. Volunteers and the understanding of dana have always been important aspects of the Zen Centre. Dana is considered to be the Buddhist practice of cultivating generosity, or some might say, selfless spontaneous giving. Enpuku-ji has always had much help from members and from friends of the Zen Centre, those who do not come to practice but want to support the existence and future of Enpuku-ji. We have help with the garden, the current Zen Centre dog, Kyōzan, garage sales, fundraising events, Zen cooking classes, house maintenance, snow-shovelling, cleaning for Zen guests, the website, translation, fundraising dinners, and so on. Most of this help goes unnoticed by others but is essential to the spirit and stewardship of Enpuku-ji. The Montreal Zen Poetry Festival was conceived of by several young poets who were practitioners at the Zen Centre around 2005. We held three festivals – 2007, 2009 and 2011 – and will possibly organize another for 2017. We have been fortunate to have hosted the likes of Jane Hirshfield, Robert Bringhurst, Red Pine, Steve Sanfield, David Budbill, Peter Levitt, Chase Twichell, Kaz Tanahashi and others. The Montreal Zen Poetry Festival is a small niche festival, and has led to rich collaborations with McGill University and with the Blue Metropolis Montreal International Literary Festival over the years. 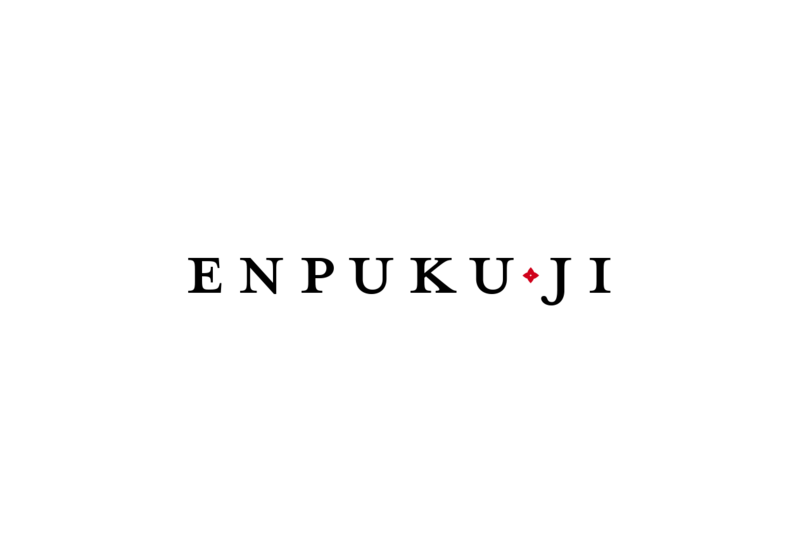 Enpuku-ji published two collections of the works of our 2007 and 2009 invitees under the imprint of Enpuku-ji Press. The collections, Forget the Words and Words have no Meaning, are available for purchase at the Zen Centre. We continue to host poetry readings and calligraphy workshops with Kaz Tanahashi as extensions of the Festival and to support the poets who have practiced Zen at Enpuku-ji. The Rumi Li Zen Poetry Library, housed on the second floor at Enpuku-ji, has a special collection of most of Gary Snyder's poetry and essays, some of Philip Whalen's work, the works of our Festival invitees and a collection of haiku works donated to the Zen Centre several years ago. People are invited to sit and read, by appointment. 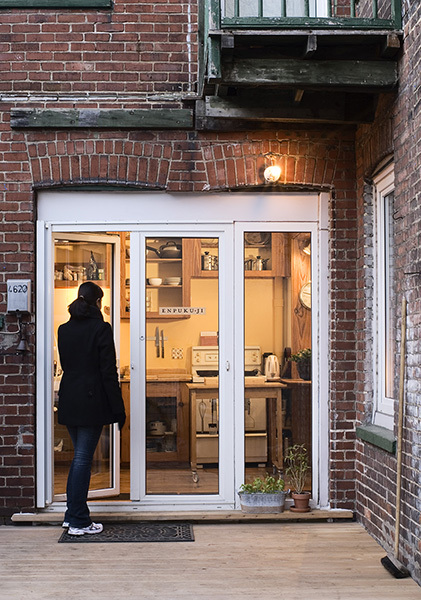 An offshoot of the Festivals has been the acquisition by Myōkyō and a former resident practitioner and Festival volunteer, Ian Sullivan Cant, of a small letterpress. 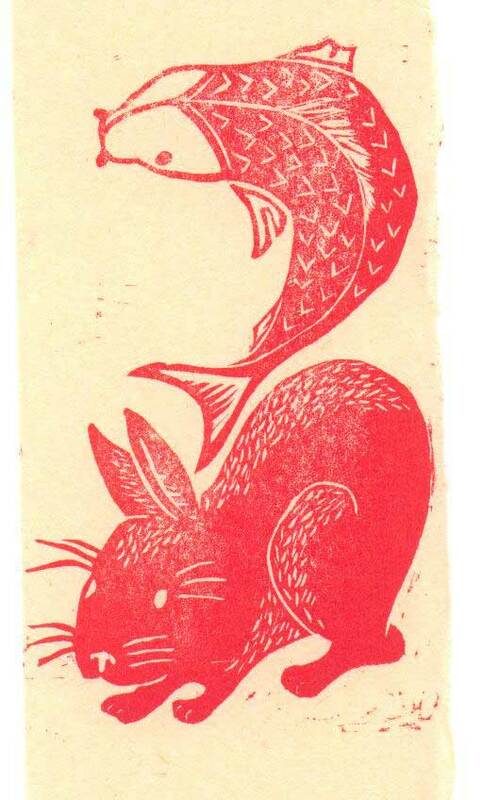 The rabbit fish logo, for the 2009 festival, was created by Ian who is a very fine zine artist and illustrator. Enpuku-ji is incorporated under Federal law as a charitable organization and, as such, issues tax receipts for donations and membership payments. The Centre is supported by general donations, membership payments, retreat and ceremony fees, resident and guest practitioner income and donations to the Abbess, Monk Study and Travel, and Zen Poetry Festival Funds. Those attending regularly are asked to contribute as a member starting with the month after their introduction to Enpuku-ji practice. Donations and membership payments are payable online through CanadaHelps or by cash or cheque at the Zen Centre. To make a donation or a membership payment via CanadaHelps, simply click on the “Contribute” button on this page. A screen with the Enpuku-ji logo will appear. Then choose "Donate Monthly" for a membership payment and follow the instructions. If you wish to make a single donation, click on "Donate Now" and, on the next screen, after entering the amount, go to “Fund/Designation” and choose which fund you would like to contribute to. CanadaHelps allows donors to download a tax receipt at any time. Payments other than donations and membership payments are not tax-receiptable and may be made by cheque, made out to “Enpukuji”, or in cash. Your support of Enpuku-ji is greatly appreciated, and will help to ensure its future as an urban centre dedicated to contemplative Zen practice. No one will be excluded from practicing at the Zen Centre because of inability to pay. It is possible to make alternate arrangements involving work at the Zen Centre and/or in-kind contributions.